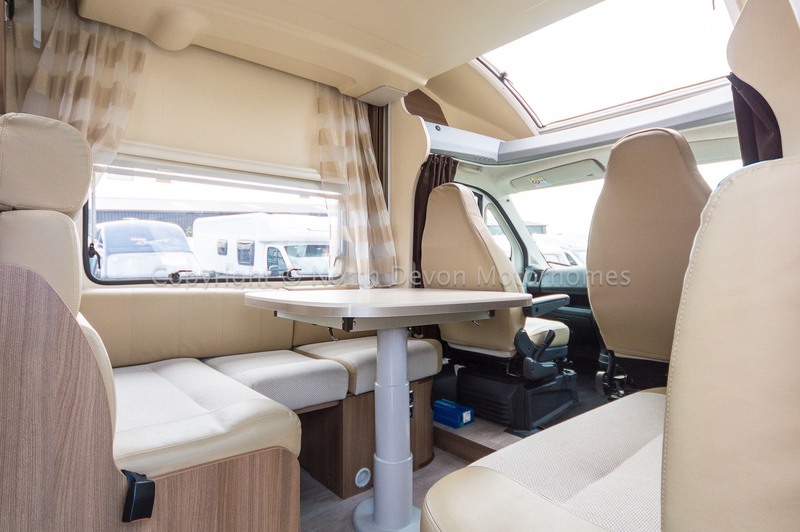 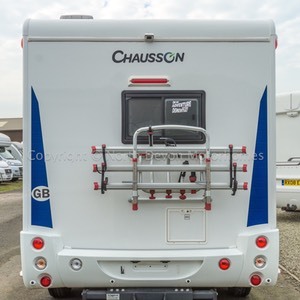 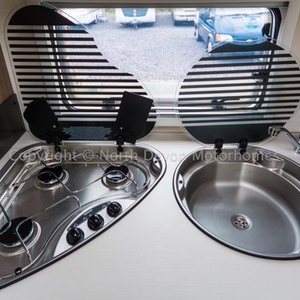 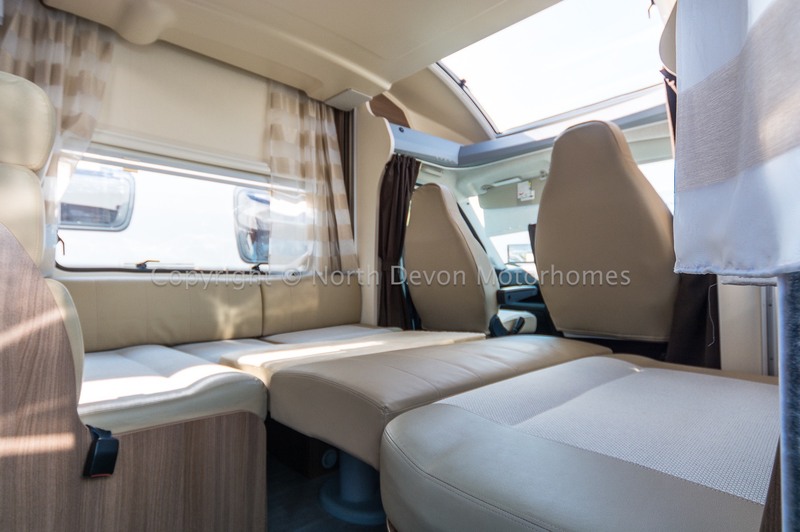 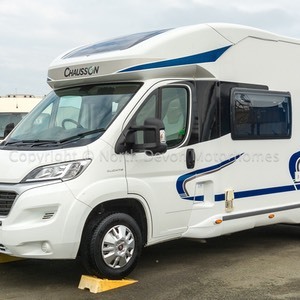 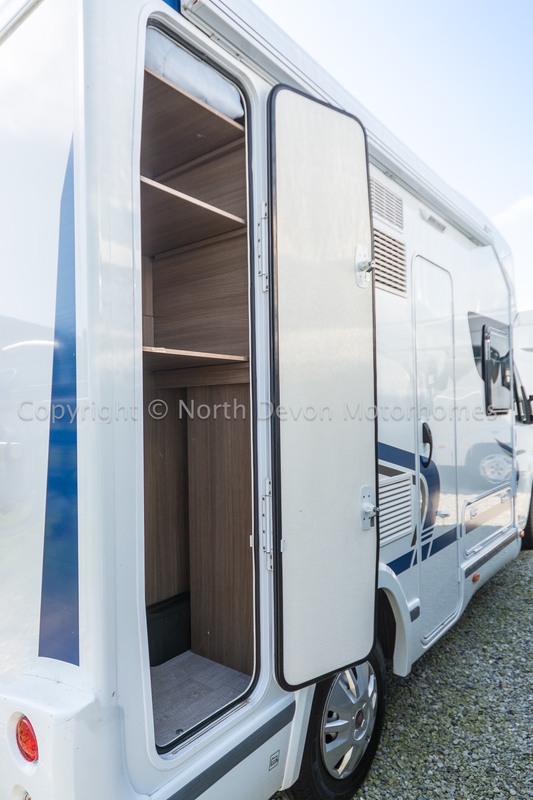 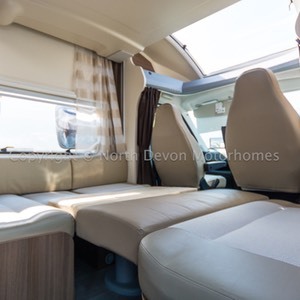 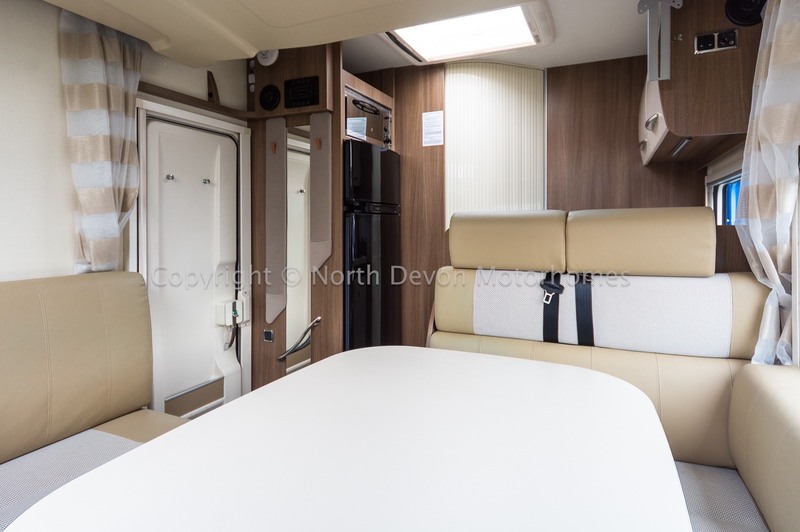 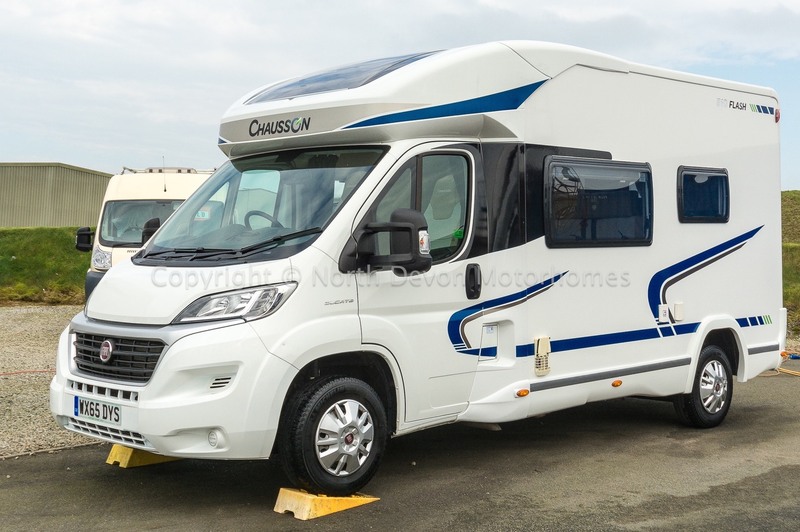 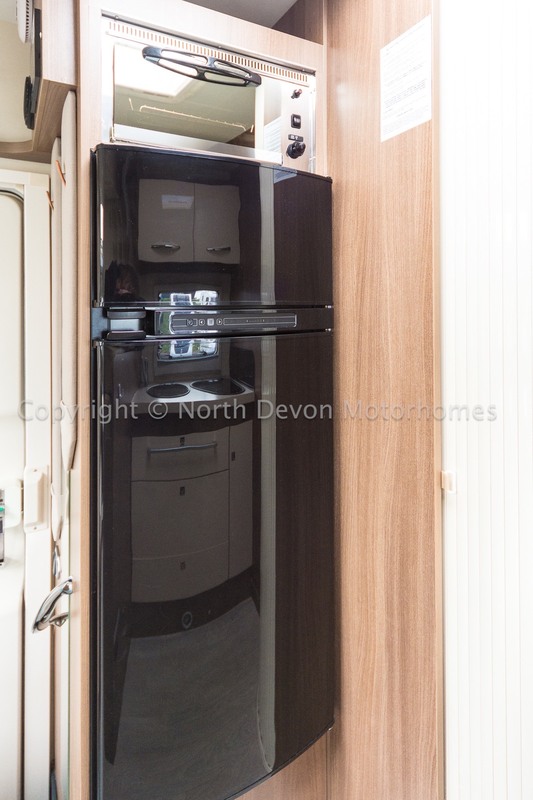 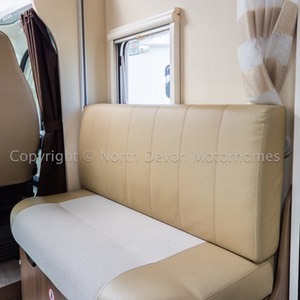 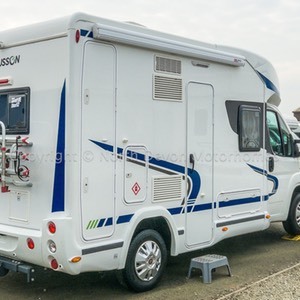 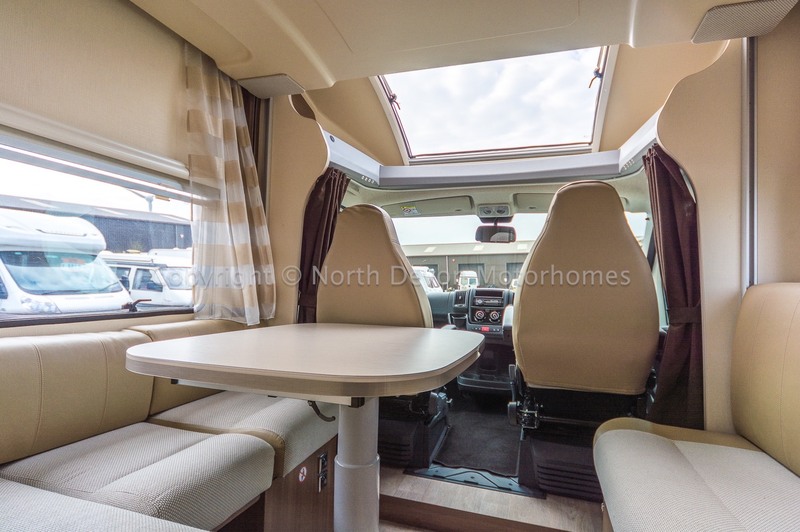 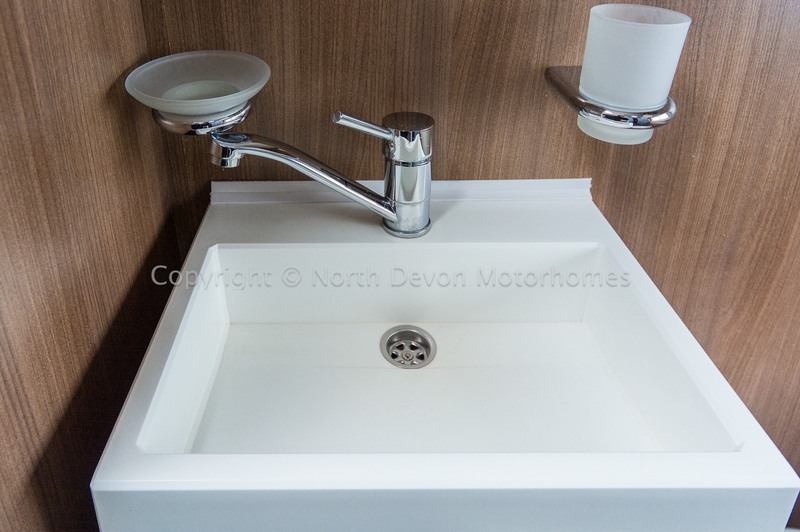 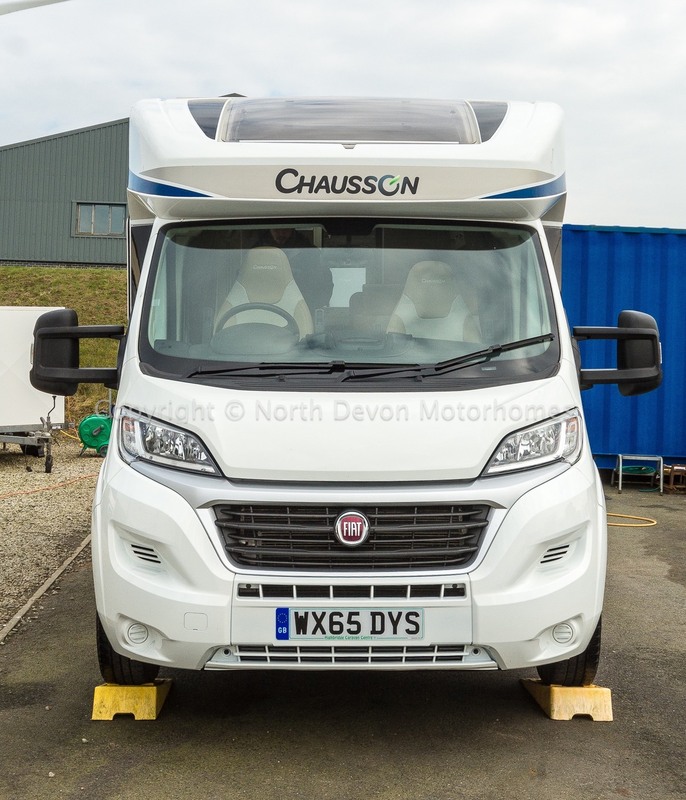 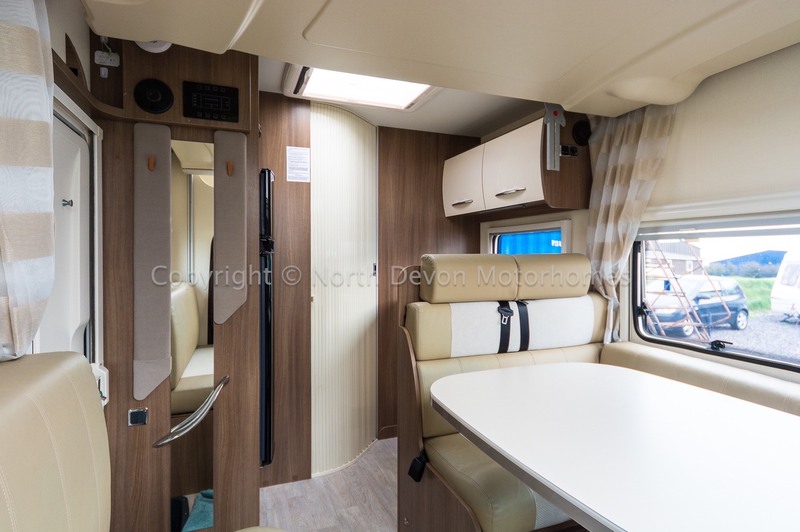 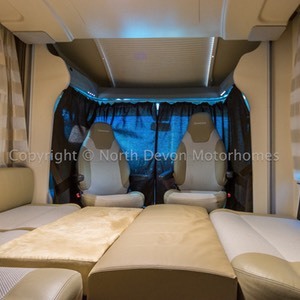 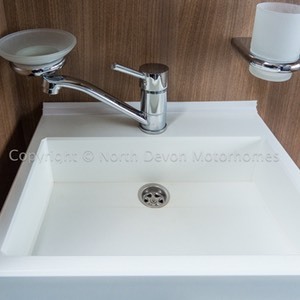 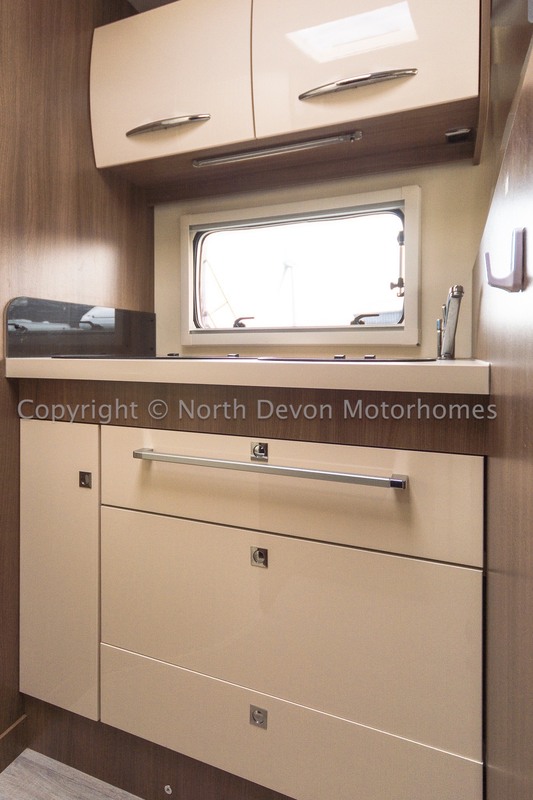 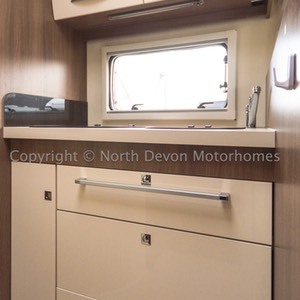 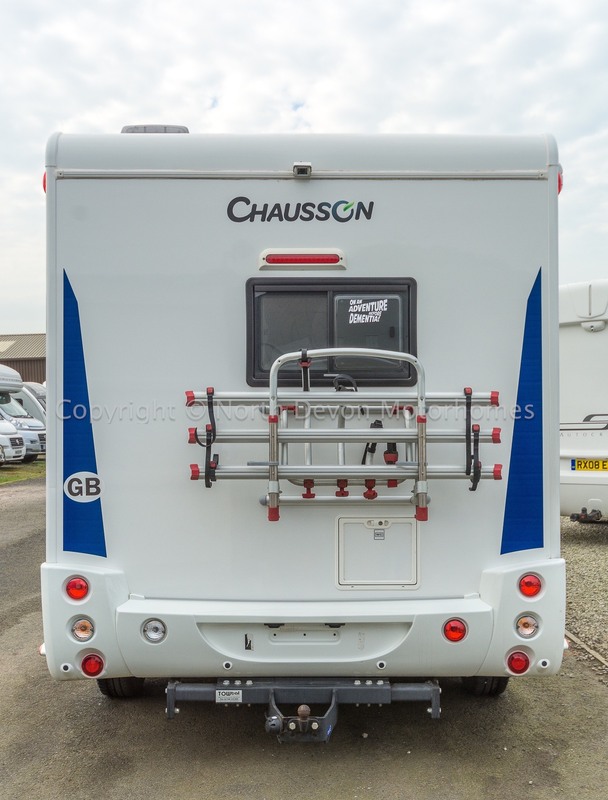 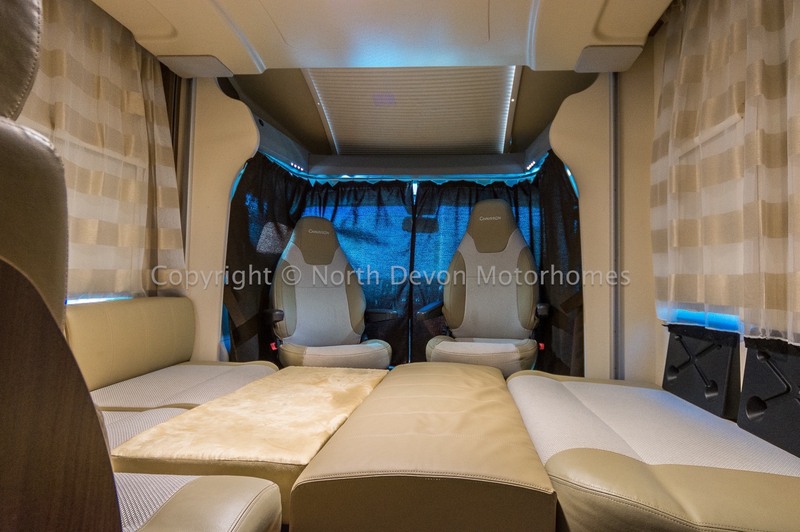 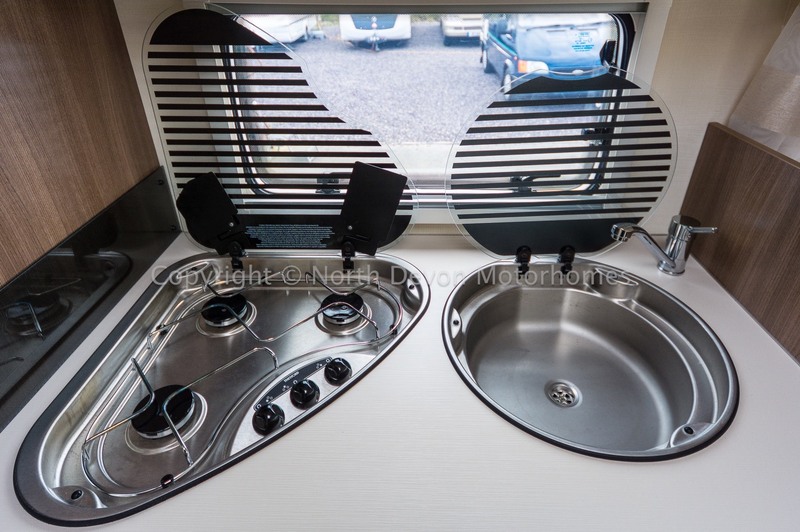 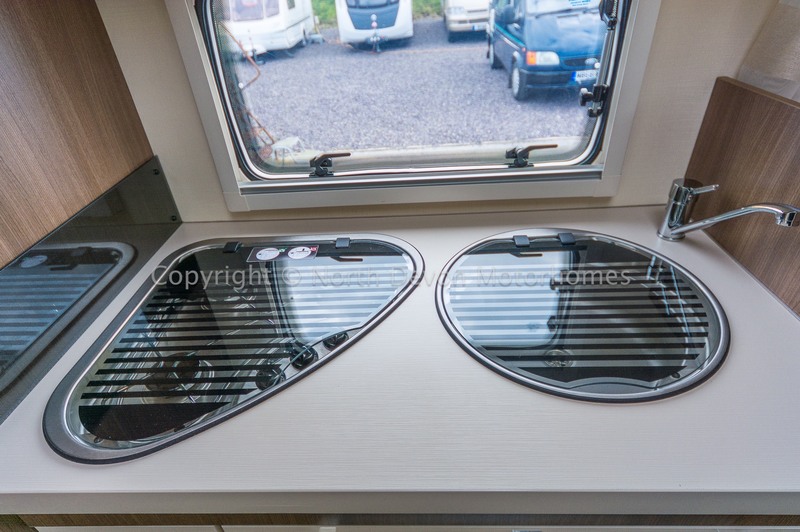 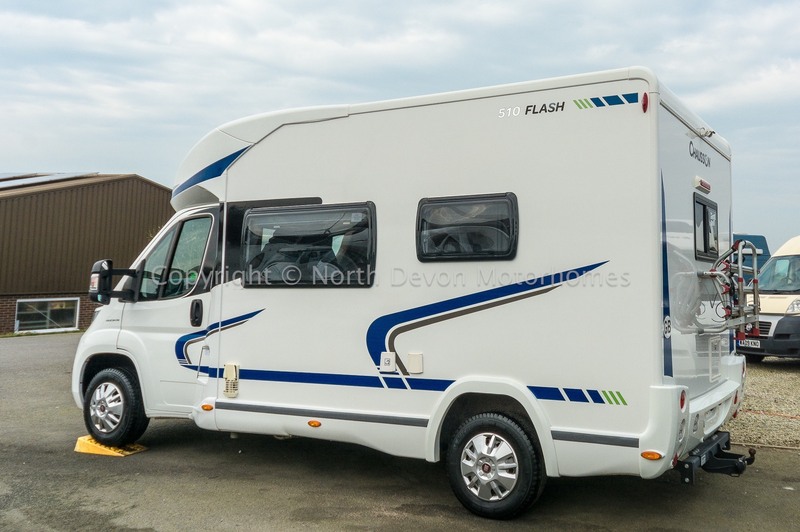 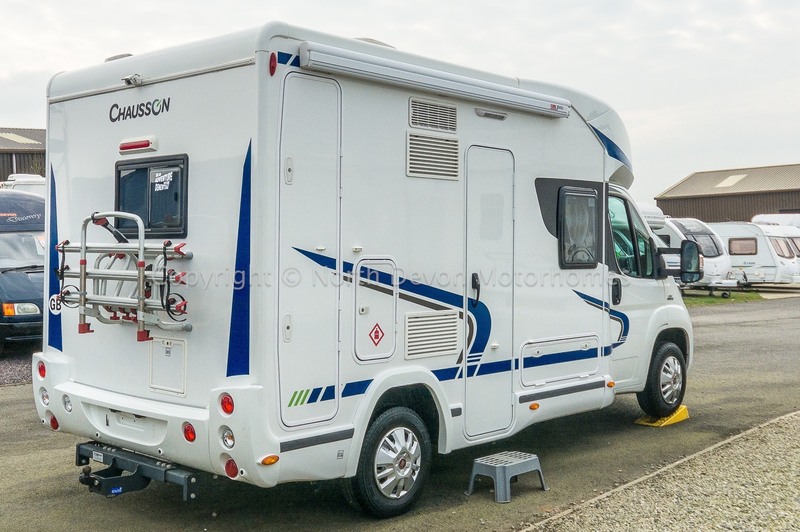 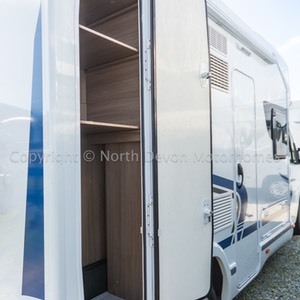 SOLD: Chausson Flash 510, Auto, 2015, Fiat 2.3, Fixed Bed, 4 Berth, 10500 Miles, Rear Washroom. 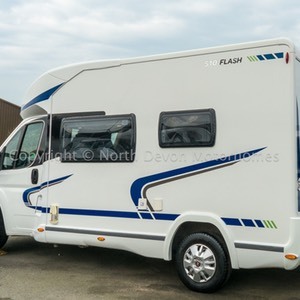 At just under 6 metres in length, this little beauty certainly packs a punch. 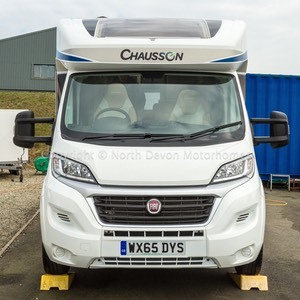 Although compact and the right size for the cheapest ferry crossing, it’s still small enough to park in most car parking bays. 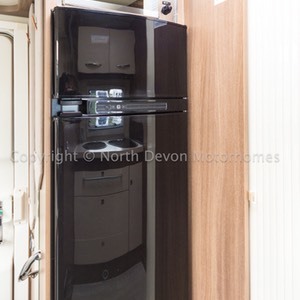 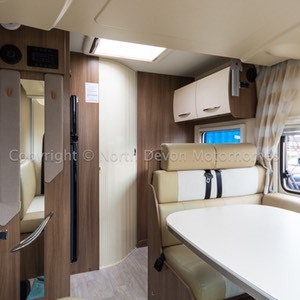 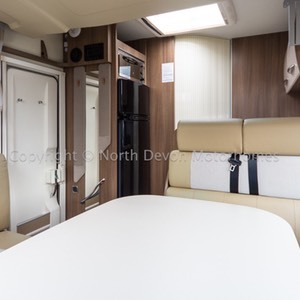 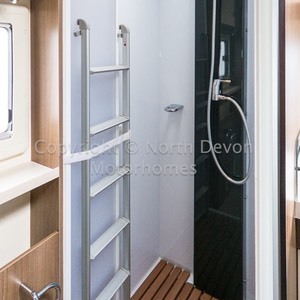 Amazingly it still has all the equipment required for long enjoyable periods of camping, a full sized bathroom and sleeps four in comfort. 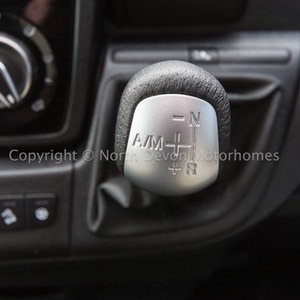 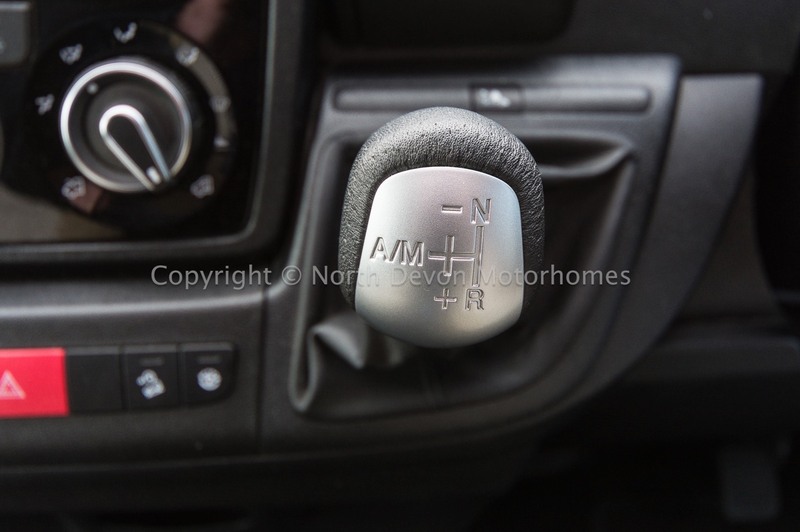 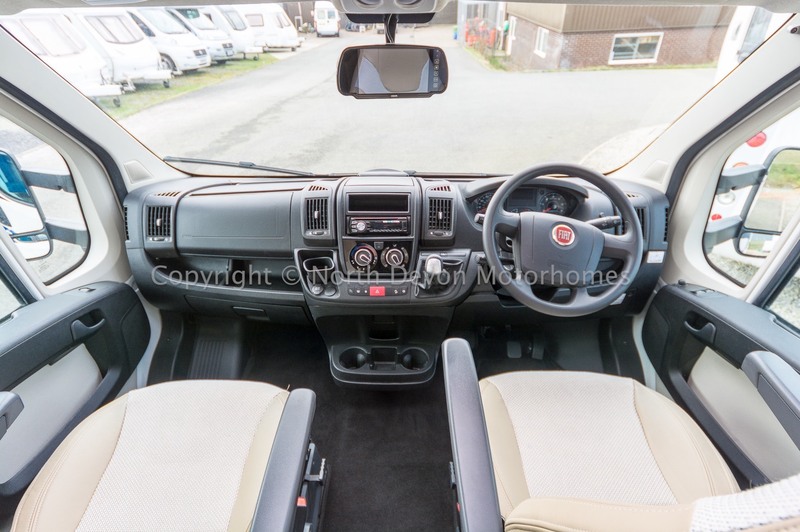 Having the optional extra of an automatic gearbox, along with an array of other extras, puts this little beauty ahead of the crowd. 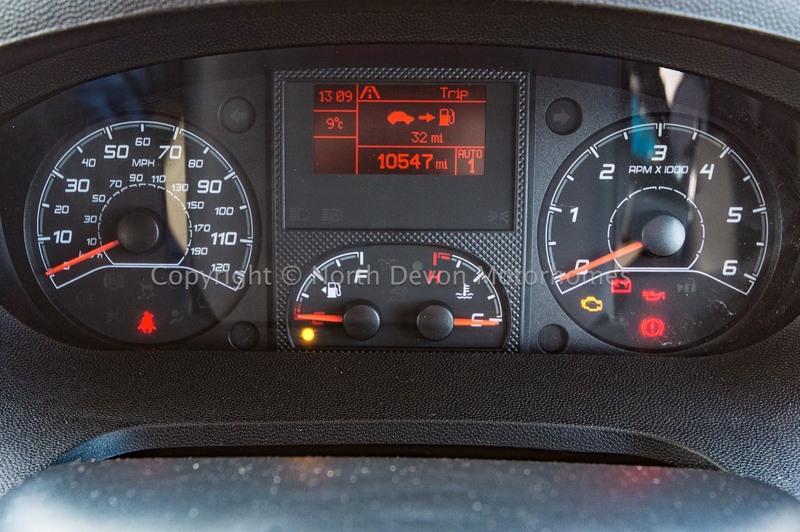 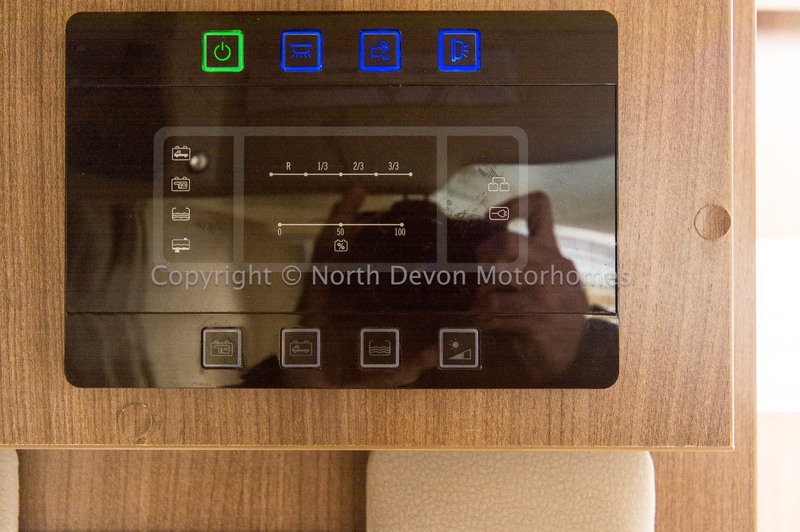 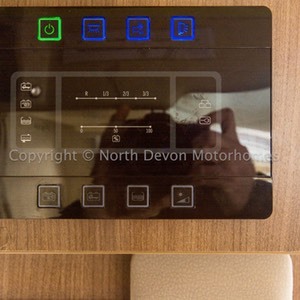 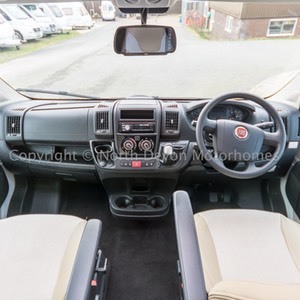 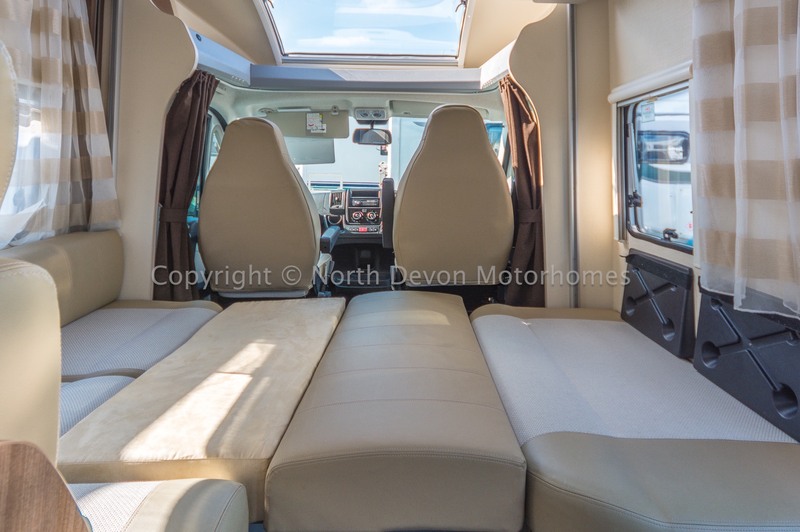 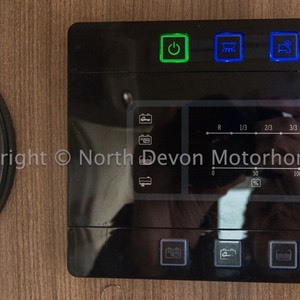 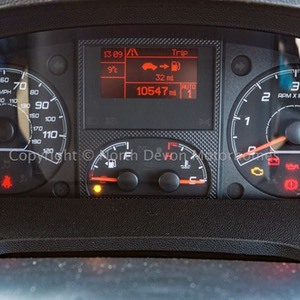 Auto Gearbox, Electric Windows and Mirrors, PAS, Drivers and Passengers Airbag, CD Radio with Bluetooth and USB/iPod connector, Swivel Captains Seats, Cab Aircon, Cruise control, Rear view camera. 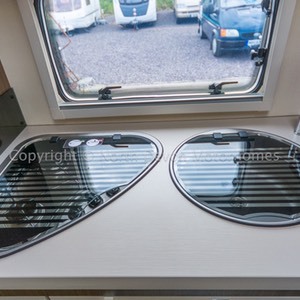 Cobra Alarm, Cup holders. 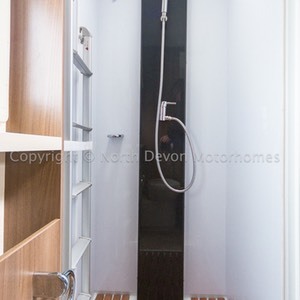 Rear bathroom with separate shower cubicle, Central kitchen, Forward lounge. 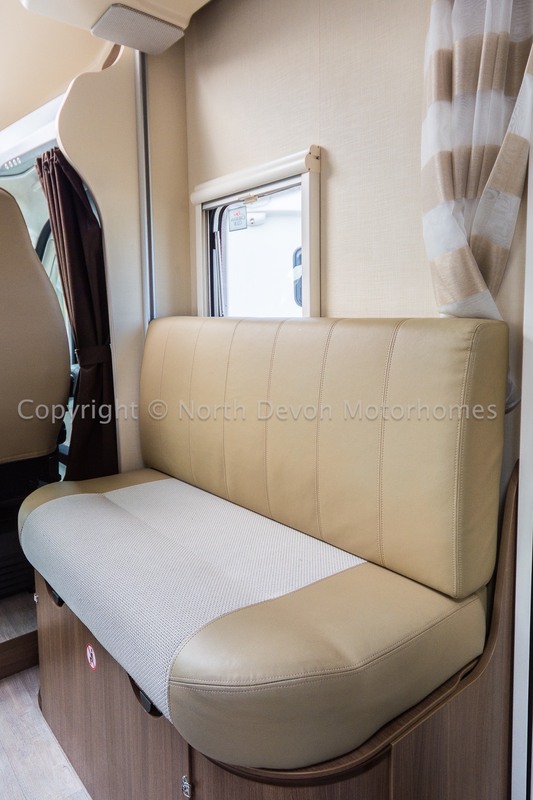 4, Drop down fixed bed over lounge, lounge converts to further double. 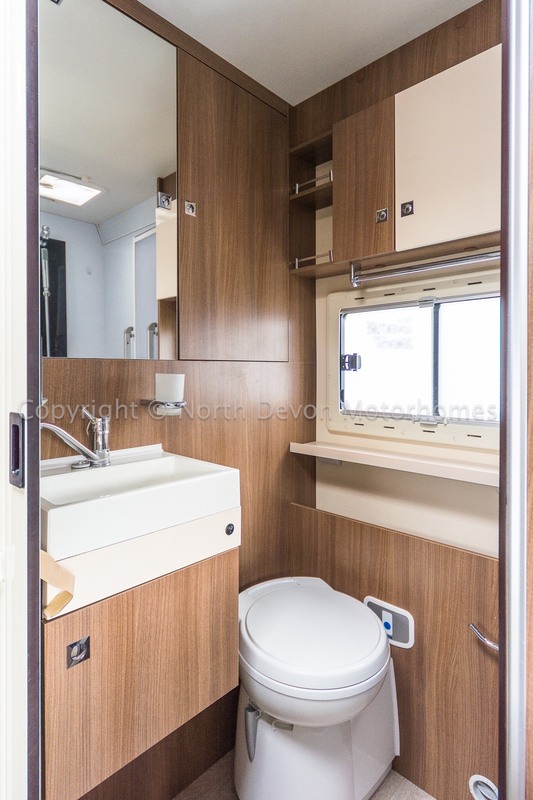 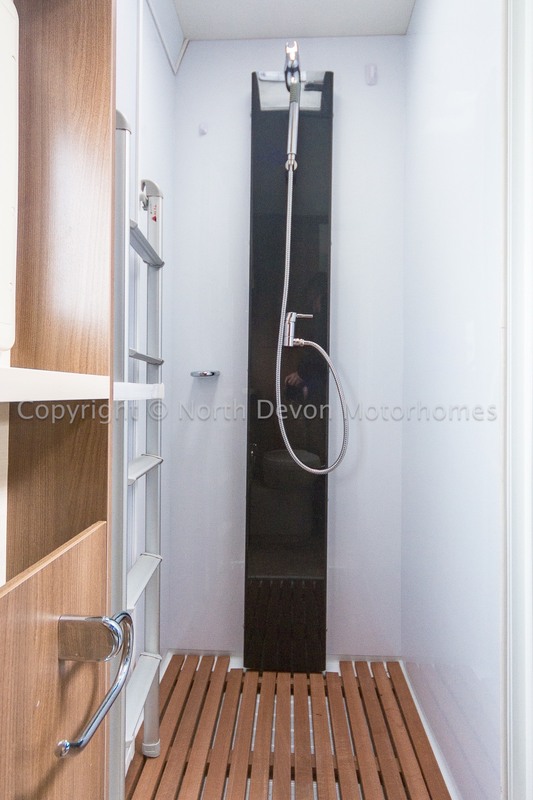 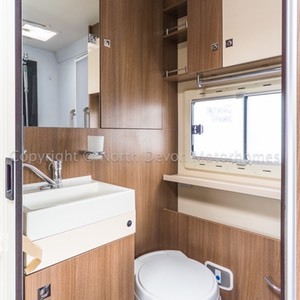 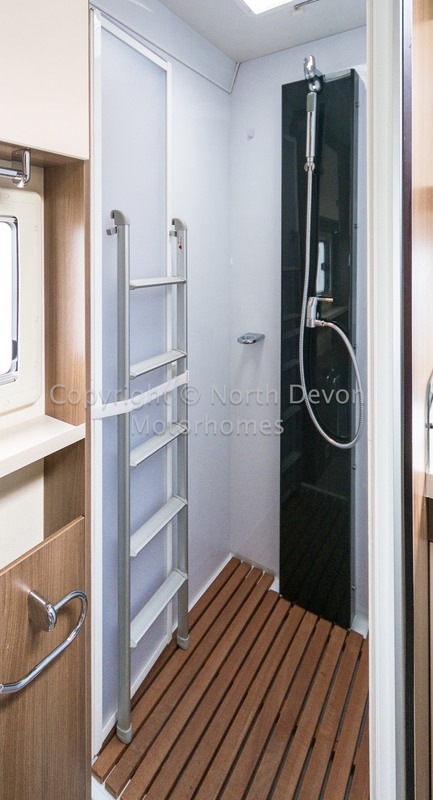 Ceramic bowl swivel toilet, Separate shower cubicle, Sink, Wardrobe, Access to exterior locker, Opening skylight. 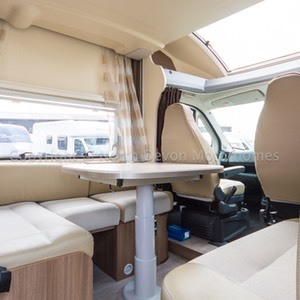 Cab seats rotate to form large seating area around adjustable table. 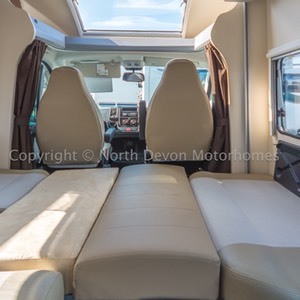 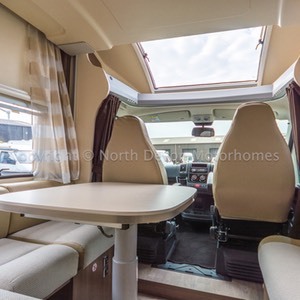 Adjustable ceiling TV bracket, Large rooflight over cab make a light, airy and relaxing lounge. 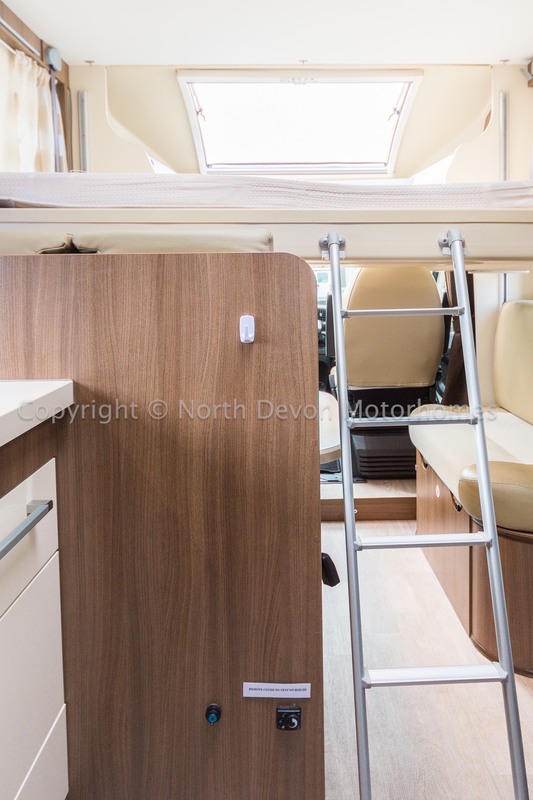 Table lowers electrically to form a double and to allow the electrically lowered roof double bed to come down into use. 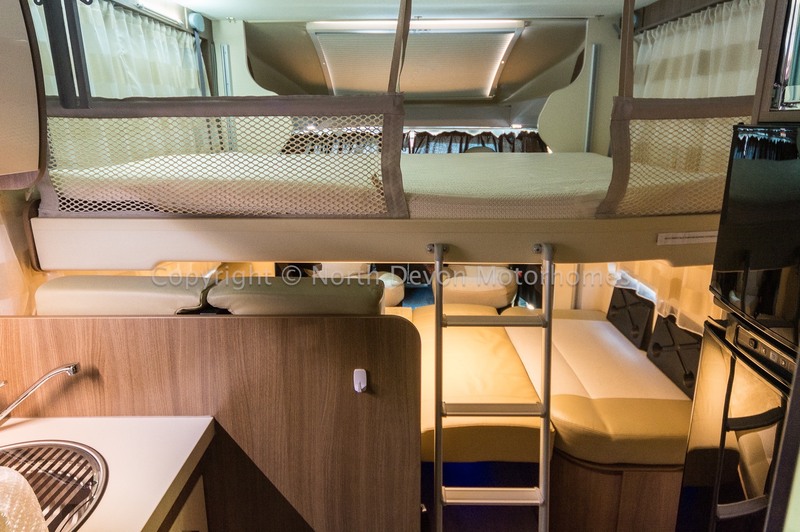 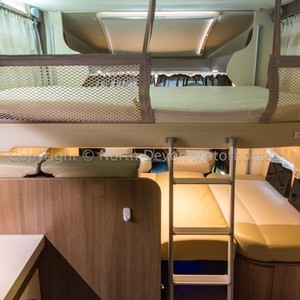 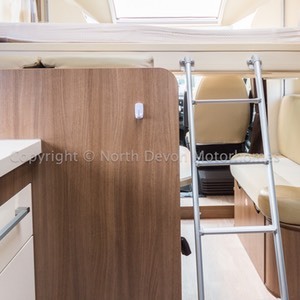 If the lower bed is not being used the drop down roof bed can be lowered further.